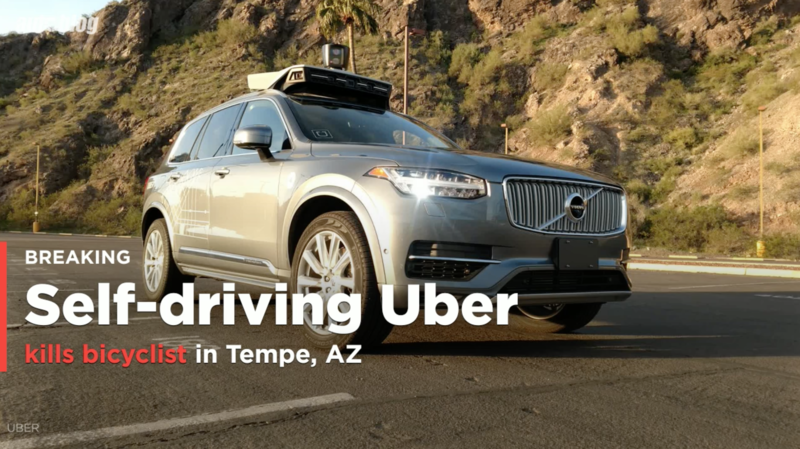 Lidar maker Velodyne has put out a statement concerning the fatal accident between an Uber autonomous vehicle and a pedestrian in Tempe, Arizona, last week. 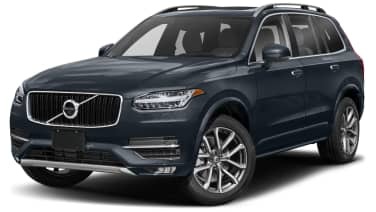 Uber's self-driving Volvo XC90 uses a Velodyne lidar (light detection and range) unit, said to be an HDL-64E. That model has a 360-degree field-of-view and a 120-meter range, so one of the big questions has been why didn't the lasers (or the 360-degree radar) pick up pedestrian Elaine Herzberg before the vehicle hit her. Velodyne president Marta Thoma Hall told Bloomberg, "We are as baffled as anyone else. Certainly, our lidar is capable of clearly imaging Elaine and her bicycle in this situation. However, our lidar doesn't make the decision to put on the brakes or get out of her way." The company, which supplies lidar units to a number of tech firms testing autonomous cars, wants to make sure its equipment isn't blamed for the crash. The accident took place around 10 p.m., and in fact, lidar works better at night than during the day because the lasers won't suffer any interference from daylight reflections. There's a large, anxious, questioning audience watching the rise of autonomous cars, so a fatal misstep could have huge consequences. The Tempe police chief has already made comments that reveal a lack of understanding about the systems that underpin self-driving vehicles. Thoma Hall's comments have been about clarifying a lidar array's role in the driving task; namely, that even when the lasers detect an object, "it is up to the rest of the system to interpret and use the data to make decisions. We do not know how the Uber system of decision-making works." If Uber's software doesn't process the data properly, then it doesn't matter what the lasers register. Her statements to Bloomberg and the BBC echo those of outside autonomous researchers. One expert in the field of autonomy, Bryant Walker Smith, told Reuters, "Although this video isn't the full picture, it strongly suggests a failure by Uber's automated driving system...." In additional comments to Jalopnik, Smith said the Uber software probably "classified [Herzberg] as something other than a stationary object." Another expert told Reuters the cameras and radar should have taken note of Herzberg, so, "Though no information is available, one would have to conclude based on this video alone, that there are problems in the Uber vehicle software that need to be rectified." The CEO of Waymo, the autonomous driving division of Alphabet — Alphabet also owns Google — told the Washington Post, "Our car would have been able to handle it," and not hit Herzberg. Waymo and Uber have a history, though; when a Waymo engineer defected to Uber, Waymo said he took trade secrets with him, so it sued Uber. The two companies settled the court case with Uber agreeing to pay Waymo $245 million in Uber stock. Waymo once used Velodyne units, but now uses its own in-house lidar array. The National Transportation Safety Board and local Arizona authorities continue to investigate the Arizona accident. They will undoubtedly turn their attention to Uber's Advanced Technologies Group in Pittsburgh, where more than 700 engineers write the autonomous software and test the company's products. Velodyne's Thoma Hall said she hasn't been in touch with Uber, but her company will soon speak to investigators. The NTSB said a preliminary report on the accident should be ready in the next few weeks; a more detailed report will take a few months.